Earn cashback and vouchers while indulging with FoodPanda.. In fact, statistics, from an online shop company, have it that Malaysians spend more than 3 hours of their time daily on internet…and there are about 5.6 million online users that shop online.. with an e –Commerce transaction of RM1.4 billion in 2013!! And well, how would you feel like getting some cash back the more you shop? Sounds unbelievable? Not at all… it is workable, really!! !…..Shopback.my is the top cashback and online shopping site in Malaysia and so you really have to check it out…. 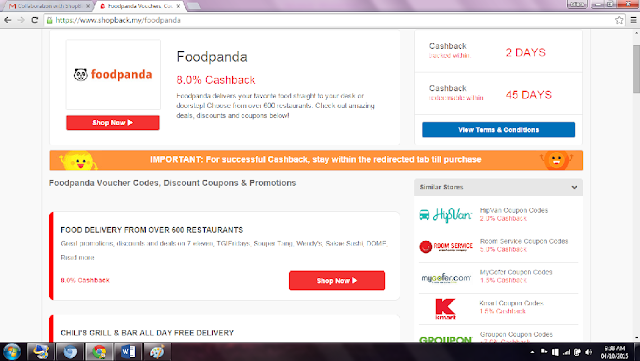 Shopback is an online shopping site that offers their customers cashback when they shop through our partner merchants like FoodPanda, Zalora, Groupon, Lazada, Taobao and many, many other local, regional and international merchants. They are constantly adding new merchants every week so that their customers can get cashback from all of their favourite brands. With ShopBack, you are purchasing directly from Groupon, Lazada etc, but when you click through from ShopBack, we can track how much you spend on these merchants using your internet browser cookies. 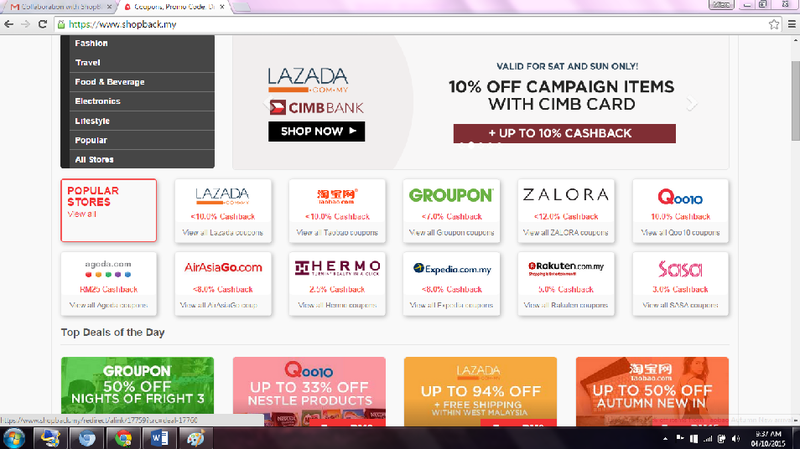 The best thing is, we provide cashback on top of any voucher codes and promo codes from these merchants! ShopBack is paid commission from their partnered merchants for driving traffic to their site, and ShopBack is sharing that commission back with you, the customer! You can get up to 30% of cashback on your order, so you quite literally get paid to shop! 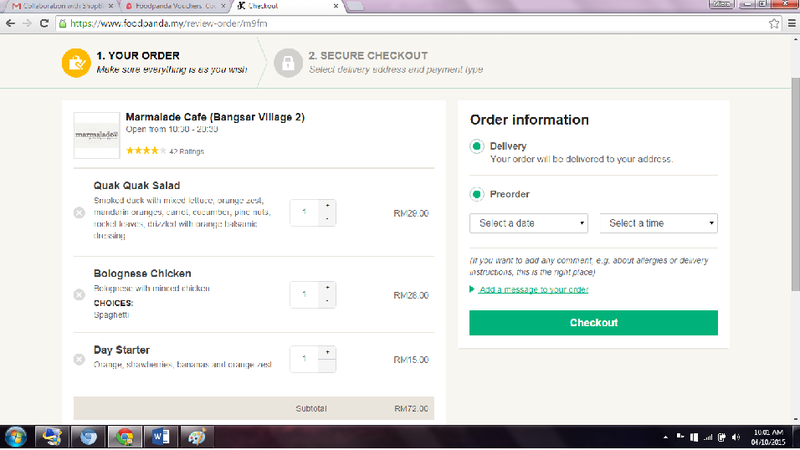 And you can actually cash out the amount into your bank account or PayPal account once the amount becomes redeemable and provided your redeemable cashback amounts to RM 10.01 (not including any bonus amounts). Don’t you think that is such an amazing concept??!! 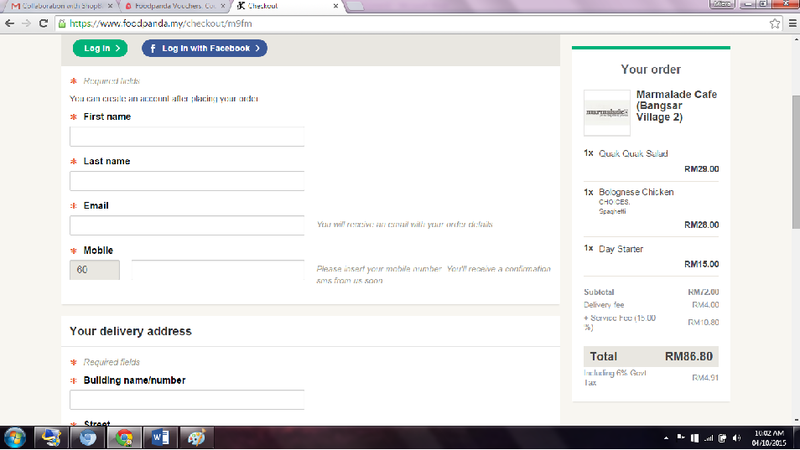 First, I went to their website: https://www.shopback.my and signed up with my Facebook account. 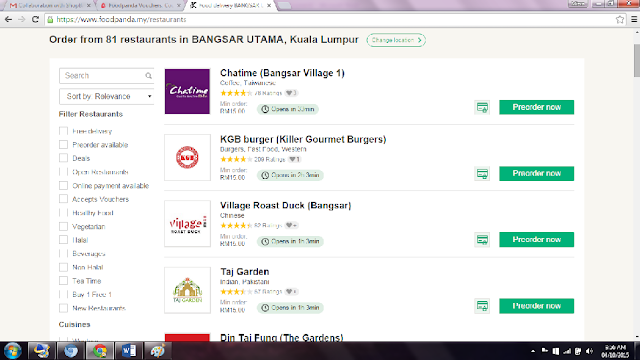 You can find plenty of stores to choose from such as FoodPanda, GroupOn, Zalora and Lazada! 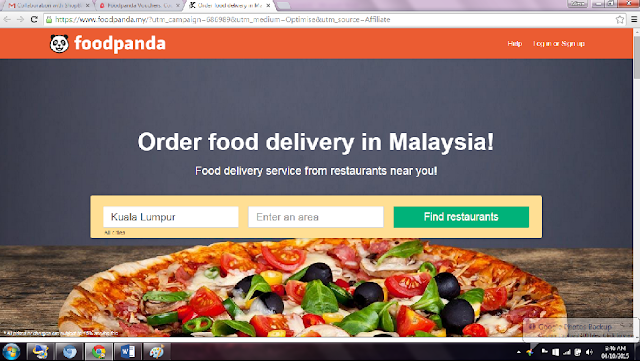 Click to get awesome cashback on FoodPanda Malaysia, on top of amazing vouchers and coupons .. 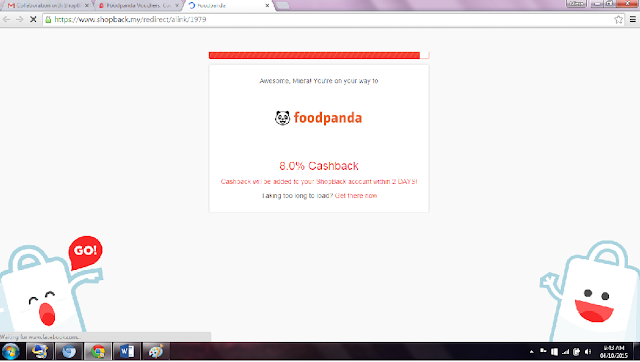 So as you can see on the FoodPanda site, you are eligible to get about 8.0% cashback from this site!!! 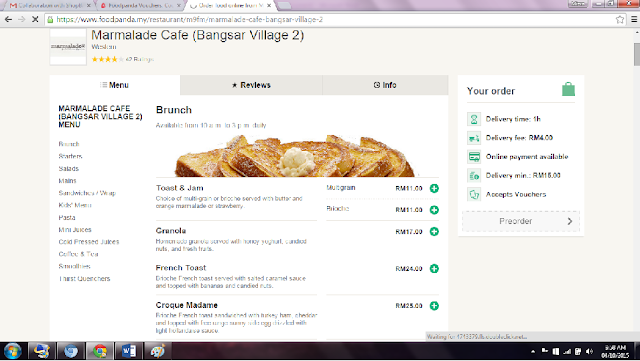 Imagine indulging yourself with great food and getting some money for it as well... !!! The Journey to Hello Kitty In Oz Begins!